On Sept 13, 1963, Mary Kay Ash with only a lifesavings of just USD $5,000.00 and her 20-year-old son Richard Rogers, launched her dream company, Beauty by Mary Kay. 50 years later, the company has expanded and spread over to 35 countries. With the company's global independent sales exceeding 2 million USD each year, Mary Kay continues to grow from strength to strength. This year, Mary Kay in conjunction with their 50th anniversary, is organising the “One Woman Can” makeover beauty contest. 5 finalists from the Malaysia and Singapore region will have their dreams come true! 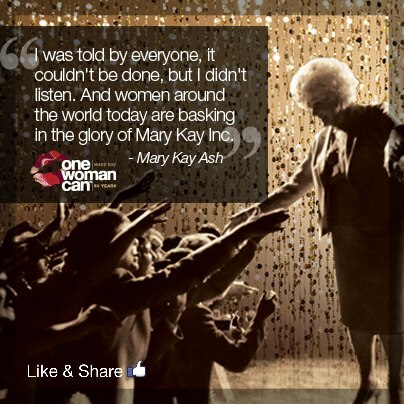 The Mary Kay® One Women Can™ Contest starts from 8th March to 10th May 2013. They will win a trip to Hong Kong to attend the grand finale star-studded event. 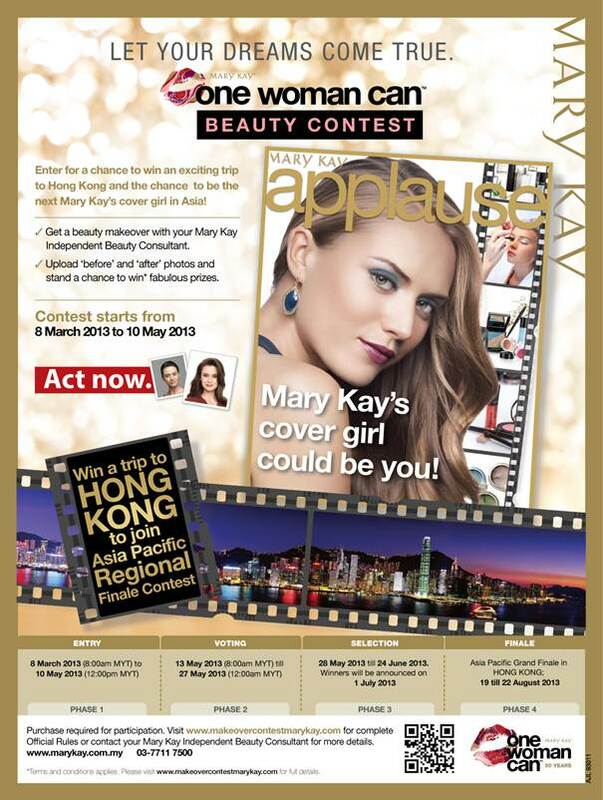 These winners will then compete against other Asia Pacific winners to earn coveted Mary Kay Asia cover girl title. 1.Get a beauty self-makeover with your Mary Kay Independent Beauty Consultant. Using Mary Kay® products, and with purchase of one (1) full size Mary Kay® product. 2.Take two photographs of yourself, by a non-professional photographer. Entries with the most votes stand a chance of winning fabulous prizes! Professional modelling training, makeover & photoshoot with one of HK's top photographers! A charity donation of RM1,000 or SGD500 donation to Pusat Kebajikan HOPE Worldwide Kuala Lumpur or Singapore. The chance to compete with other Asia Pacific finalists in Hong Kong!